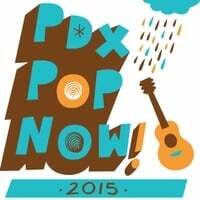 2015 Compilation – PDX POP NOW! Check out our physical version for bonus tracks that will murdalize your mind. Special secret material from Dylan Stark, Barna Howard, The Reverberations, and Moon By You. Available to purchase June 15th, 2015 at local retail outlets and online at cdbaby.com. Proceeds from sales of the album go towards funding the festival and our outreach activities. Get it online from CD Baby, Stream it on Spotify, or pick up the CD at record stores around Portland such as Everyday Music, Jackpot Records, Music Millenium, Tender Loving Empire, and many more!